Discover the ABV, IBU, Style and Taste Profiles of our various products. Click the links below to take you to the section of your choice. Ale is a type of beer brewed using a warm fermentation method, resulting in a sweet, full-bodied and fruity taste. Historically, the term referred to a drink brewed without hops. As with most beers, ale typically has a bittering agent to balance the sweetness of the malt and act as a preservative. Ale was originally bittered with gruit, a mixture of herbs or spices boiled in the wort before fermentation. Later, hops replaced gruit as the bittering agent. Please click the View More Button below to see our offerings. Amber ale is a term used in Australia, France and North America for pale ales brewed with a proportion of amber malt and sometimes crystal malt to produce an amber color generally ranging from light copper to light brown. A small amount of crystal or other colored malt is added to the basic pale ale base to produce a slightly darker color, as in some Irish and British pale ales. In France the term "ambrée" is used to signify a beer, either cold or warm fermented, which is amber in color; the beer, as in Pelforth Ambrée and Fischer Amber, may be a Vienna lager, or it may be a Bière de Garde as in Jenlain Ambrée. In North America, American-variety hops are used in varying degrees of bitterness, although very few examples are particularly hoppy. In Australia the most popular Amber Ale is from Malt Shovel Brewery, branded James Squire in honour of Australia's first brewer, who first brewed beer in Sydney in 1794. Barley wine is a style of strong ale of between 6-16% alcohol by volume. The first beer to be marketed as barley wine was Bass No. 1 Ale, around 1870. Barley wines are sometimes labelled with a production date, as they are intended to be aged, sometimes extensively. A variation on the barley wine style involves adding a large quantity of wheat to the mash bill, resulting in what is referred to as wheat wine. This style originated in the United States in the 1980s. Cider (/ˈsaɪdər/ SY-dər) is an alcoholic beverage made from the fermented juice of apples. The addition of sugar or extra fruit before a second fermentation increases the alcoholic content of the resulting beverage. In UK law, it must contain at least 35% apple juice (fresh or from concentrate), although CAMRA says that "real cider" must be at least 90% fresh apple juice. In the US, there is a 50% minimum. In France, cider must be made solely from apples. An alcoholic beverage made from original base containing saltzer or malt, but then stripped of malt character and then flavored. 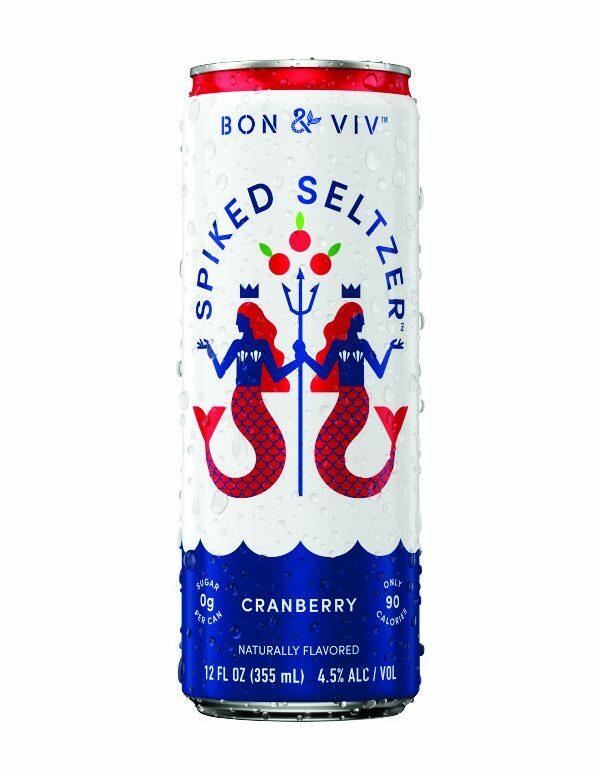 These drinks are also referred to as flavored alcohol beverages and colloquially called “alcopops” or “malternatives,” among numerous other names. Gluten-free beer is beer made from ingredients that do not contain gluten. People who have gluten intolerance (including celiac disease and dermatitis herpetiformis sufferers) have a reaction to certain proteins in the grains commonly used to make beer, barley and wheat. The hordein found in barley and the gliadin found in wheat are types of gluten that can trigger symptoms in sufferers of these diseases. Gluten-free beer is part of a gluten-free diet. India pale ale (IPA) is a hoppy beer style Indian beer within the broader category of pale ale. It has also been referred to as pale ale as prepared in India, India ale, pale India ale, or pale export India ale. The term pale ale originally denoted an ale that had been brewed from pale malt. Among the first brewers known to export beer to India was George Hodgson's Bow Brewery, on the Middlesex-Essex border. Bow Brewery beers became popular among East India Company traders in the late 18th century because of the brewery's location near the East India Docks. Demand for the export style of pale ale, which had become known as India pale ale, developed in England around 1840 and it later became a popular product there. IPAs have a long history in Canada and the United States, and many breweries there produce a version of the style. Lager (German: storeroom or warehouse) is a type of beer that is conditioned at low temperatures, normally at the brewery. It may be pale, golden, amber, or dark. Although one of the most defining features of lager is its maturation in cold storage, it is also distinguished by the use of a specific yeast. While it is possible to use lager yeast in a warm fermentation process, such as with American steam beer, the lack of a cold storage maturation phase precludes such beer from being classified as lager. On the other hand, German Altbier and Kölsch, brewed with a top-fermenting yeast at a warm temperature, but with a cold storage finishing stage, are classified as obergäriges Lagerbier (top-fermented lager beer). Malt liquor, in North America, is beer with high alcohol content. Legally, it often includes any alcoholic beverage with 5% or more alcohol by volume made with malted barley. In common usage it refers to beers containing a high alcohol content, generally above 6%, which are made with ingredients and processes resembling those for American-style lagers. Malt liquor is a strong lager or ale in which sugar, corn or other adjuncts are added to the malted barley to boost the total amount of fermentable sugars in the wort, and thus boost the final alcohol concentration without creating a heavier or sweeter taste. These beers tend to be mildly hopped; that is, they are not very bitter. Low-alcohol beer (also called light beer, non-alcoholic beer, small beer, small ale, or near-beer) is beer with low alcohol content or no alcohol, which aims to reproduce the taste of beer without the inebriating effects of standard alcoholic brews. Most low-alcohol beers are lagers, but there are some low-alcohol ales. In the United States, beverages containing less than 0.5% alcohol by volume (ABV) were legally called non-alcoholic, according to the now-defunct Volstead Act. Because of its very low alcohol content, non-alcoholic beer may be legally sold to minors in many American states. The higher proportion of pale malts results in a lighter color. The term "pale ale" first appeared around 1703 for beers made from malts dried with coke, which resulted in a lighter color than other beers popular at that time. The name was first recorded in the 18th century, and is thought to come from its popularity with street and river porters. The history and development of stout and porter are intertwined. The name "stout" as used for a dark beer is believed to have come about because strong porters were marketed under such names as "Extra Porter", "Double Porter", and "Stout Porter". The term "Stout Porter" would later be shortened to just "Stout". For example, Guinness Extra Stout was originally called Extra Superior Porter and was only given the name Extra Stout in 1840. Saison (French, "season," French pronunciation: ​[sɛ.zɔ̃]) is a pale ale that is generally around 7% ABV, highly carbonated, fruity, spicy, and often bottle conditioned. As a beer style, saison began as a pale ale brewed in the cooler, less active months in farmhouses in Wallonia, the French-speaking region of Belgium, and stored for drinking in the summer months. These farmhouse beers would have been of a lower ABV than modern saisons—around 3 to 3.5% ABV on average, rising in the early 20th century to between 4.5 and 6.5% ABV. The type of malt determines the colour of the saison, and although most saisons are of a cloudy golden colour as result of the grist being mostly pale or pilsner malt, the use of darker malts results in some saisons being reddish-amber. Some recipes also use wheat. Spices such as orange zest, coriander, and ginger may be used. Some spice character may come through due to the production of esters during fermentation at warm temperatures. Modern examples brewed in the US tend to copy the yeast used by the Dupont Brewery, which ferments better at warmer temperatures like 29 to 35 °C (84 to 95 °F) than the standard 18 to 24 °C (64 to 75 °F) fermenting temperature used by other Belgian ales. At one time, all beers were sour to some degree. As pure yeast cultures were not available, the starter used from one batch to another usually contained some wild yeast and bacteria. Unlike modern brewing, which is done in a sterile environment to guard against the intrusion of wild yeast, sour beers are made by intentionally allowing wild yeast strains or bacteria into the brew. Traditionally, Belgian brewers allowed wild yeast to enter the brew naturally through the barrels or during the cooling of the wort in a coolship open to the outside air – an unpredictable process that many modern brewers avoid. Making sour beer is a risky and specialized form of beer brewing, and longstanding breweries which produce it and other lambics often specialize in this and other Belgian-style beers. Stout is a dark beer made using roasted malt or roasted barley, hops, water and yeast. Stouts were traditionally the generic term for the strongest or stoutest porters, typically 7% or 8%, produced by a brewery. There are a number of variations including Baltic porter, milk stout, and imperial stout; the most common variation is dry stout, exemplified by Guinness Draught, the world's best selling stout. The first known use of the word stout for beer was in a document dated 1677 found in the Egerton Manuscript, the sense being that a stout beer was a strong beer not a dark beer. The name porter was first used in 1721 to describe a dark brown beer that had been made with roasted malts. Because of the huge popularity of porters, brewers made them in a variety of strengths. The stronger beers were called "stout porters", so the history and development of stout and porter are intertwined, and the term stout has become firmly associated with dark beer, rather than just strong beer. Wheat beer is a beer, usually top-fermented, which is brewed with a large proportion of wheat relative to the amount of malted barley. The two main varieties are Weissbier and Witbier; minor types include Lambic, Berliner Weisse and Gose. Two common varieties of wheat beer are Weißbier (German – "white beer") based on the German tradition of mixing at least 50% wheat to barley malt to make a light coloured top-fermenting beer, and witbier (Dutch – "white beer") based on the Belgian tradition of using flavorings such as coriander and orange peel. Belgian white beers are often made with raw unmalted wheat, as opposed to the malted wheat used in other varieties. U.S. brewers and Canadian brewers follow both of the main wheat beer traditions, usually with greater variation. Other minor wheat beer styles such as Berliner Weiße, Gose, and Lambic are made with a significant proportion of wheat. Wine (from Latin vinum) is an alcoholic beverage made from grapes, generally Vitis vinifera, fermented without the addition of sugars, acids, enzymes, water, or other nutrients. Yeast consumes the sugar in the grapes and converts it to ethanol and carbon dioxide. Different varieties of grapes and strains of yeasts produce different styles of wine. These variations result from the complex interactions between the biochemical development of the grape, the reactions involved in fermentation, the terroir, and the production process. Many countries enact legal appellations intended to define styles and qualities of wine.